Before she leaves, Janet Yellen wants to remind us how far we've come. The Federal Reserve chair touted the U.S. economy's gains since the 2008 financial crisis on Wednesday, in what's likely her final testimony before a joint congressional committee. "17 million more Americans are employed now than eight years ago," Yellen, who became a top Fed official in 2010, said in prepared remarks. "The U.S. economy has strengthened further this year." With the confirmation hearings of her likely successor, Jerome Powell, moving smoothly, Yellen's testimony marks one of her last public appearances. She's decided to step down entirely from the Fed's Board of Governors, which she could have stayed on, once Powell is officially confirmed. Yellen is the first woman to serve as Fed chair. She was nominated by President Obama in 2013. Yellen is likely to be remembered for leading the Fed to successfully raise interest rates, starting in late 2015, after years of unprecedented support for the economy. The Fed slashed rates to 0% in 2008 in an effort to boost the collapsed housing market and economy. On Wednesday, Yellen added that the unemployment rate fell to 4.1%, the lowest level since 2000, and well below the peak of unemployment, 10%, in 2009. Unemployment for blacks and Hispanics -- both suffered significantly higher jobless than whites during the Great Recession -- has also fallen below where it was before the crisis. Unemployment for blacks, Hispanics and whites is 7.5%, 4.8% and 3.5% respectively. Yellen acknowledged that inflation remains stubbornly below the Fed's 2% target. Generally, when unemployment is so low, prices and wages are forced to move up as companies compete for workers. While she thinks the lack of inflation is temporary, Yellen said "it is also possible that this year's low inflation could reflect something more persistent." Wall Street investors widely expect the Fed to raise rates in December, and Yellen noted that "gradual increases" in rates will be appropriate. Powell, her successor, maintained the same tone during his confirmation hearing on Tuesday. 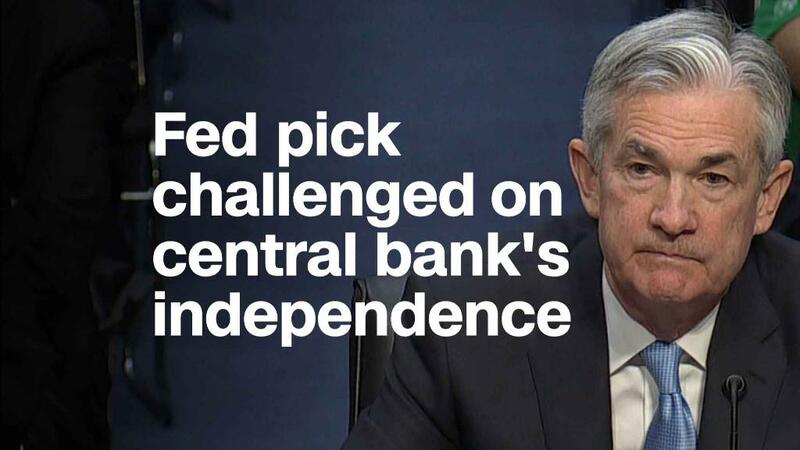 His monetary policy is expected to be similar to Yellen's.